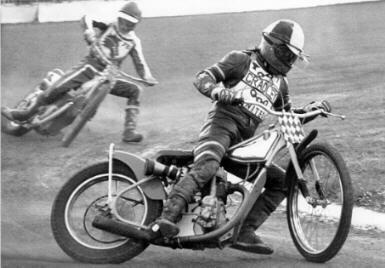 Former National League Riders Champ, allocated to Cradley in 1974 by the rider control committee. Voted the top rider in the Lincolnshire Echo, while at Boston in 1973 but subsequently sacked by the club for repeatedly criticising the state of the Hammond Beck Road track. 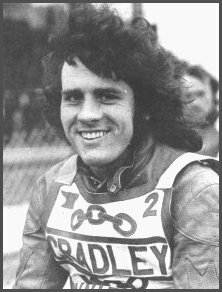 First match for Cradley 23rd March 1974 scored six points, scored his first maximum two weeks later against Coventry, averaged almost six points that first season too. Improved his average in 1975 to seven points though he took a nasty tumble on the first of September and damaged his shoulder, he missed the following two matches. 1976 saw Arthur back to his average of 1974 at 5.80. In 1977 Arthur rode an incredible sixty five matches as an ever present team member still averaging over five points per match, but this turned out to be his last full season, with new management taking over at Dudley Wood he was left out more and more riding only fourteen matches in 1978 effectively replaced by Bruce Penhall in April. He was sold to Scunthorpe at the end of the season for £2,000. Arthur came back to ride in the Dudley Wolves Trophy in 1980 but scoring only one point from both legs it turned out to be his last appearance in the Green and White. Still a regular on the speedway terraces, Arthur recorded his own CD called "Summertime is Speedway Time".